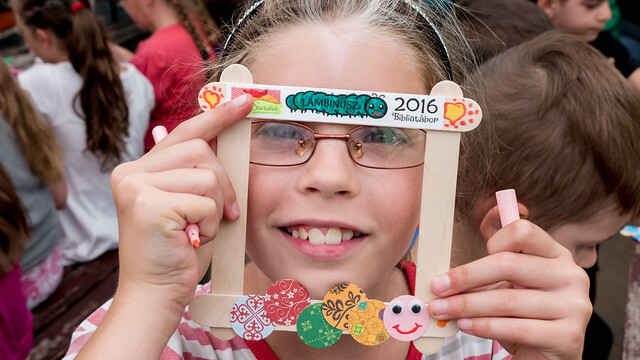 We’re back from a week holding another VBS in the town of Jászfényszaru. We’ve been working in this town over the past few years, seeking to proclaim the gospel and build up believers with a goal to plant a church. 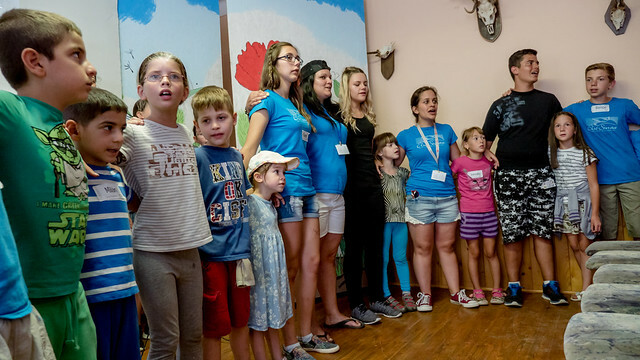 God opened the door to hold our first VBS and we had a mixture of kids commuting from other towns and a good number from Jászfényszaru. Some of these kids were hearing the Good News for the first time as they come from backgrounds where they have not had anyone explain God’s love and plan of salvation through faith in Jesus Christ. 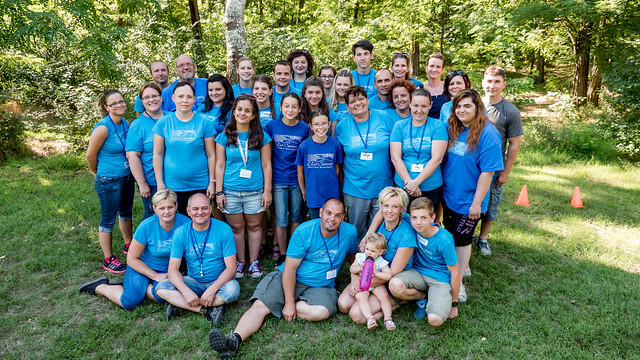 God provided a great team of those from our previous VBS in Petofibanya along with new volunteers from Jászfényszaru. It was our desire to have those who were experienced teaching and leading groups in camp mentor the new volunteers from Jászfényszaru. God gave us great unity and an atmosphere full of the fruit of the Spirit of God who lives in us! We even had kids that had already attended VBS in Petofibanya and would be hearing the same stories again in Jászfényszaru. We were concerned that they may not enjoy camp as much since they would be doing a lot of the same material in small groups. There was no need to worry! All the kids had a great time and even commented on how they now had a better view of the afternoon drama that was a bit hard to see for many because of the number of kids that pack our facility in Petofibanya. We praise God for the little things and the big things that we experienced everyday! For example, one day as we commuted to the campground, the sky was full of clouds and it began to rain on the way. We began praying in the car and by the time we arrived at camp, the rain stopped. It was overcast the entire day, but no rain! When we finished the day, we literally drove out to the main road to commute back home and it began raining. By the next morning the rain had stopped. 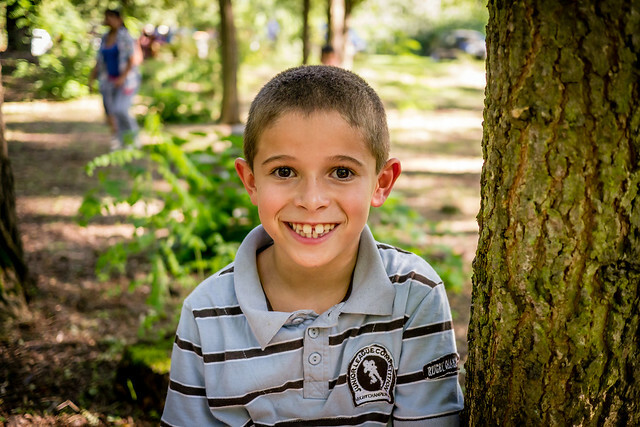 The kids had the freedom everyday at camp to spend outside. Two of the kids that initially were hesitant in attending camp and had to leave early the first few days for wrestling practice later told their parents that they didn’t want to go to practice and would rather stay at camp! There was a house just a few blocks away from our campgrounds and on the second day, a mother came and asked if her daughter could attend. Of course! Initially, her daughter Virág was shy and shared with some of our staff how she really wasn’t the type to sing and to think about God. 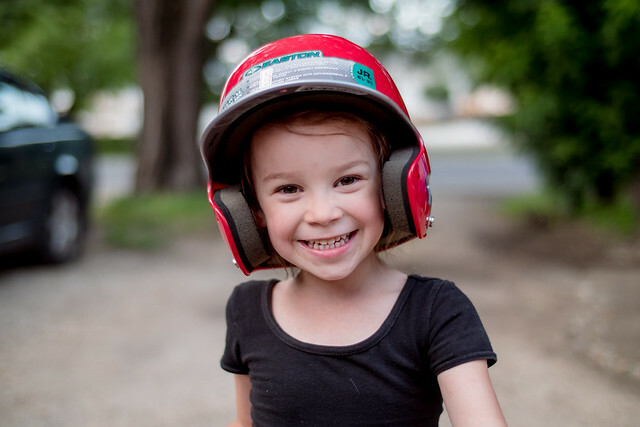 We could see her change every day as she wholeheartedly participated in the songs and made some new friends from our church that reached out to her. We also had various incidents of sickness coming on and kids complaining of headaches, stomach pain and nausea. Various staff took them aside and prayed for healing and God consistently healed them so that they were fully involved in game time and all other activities. On the last day of camp, we invited parents and had a great turn out. We held a special small group discussion just for parents and the Gospel was clearly proclaimed along with personal testimonies from those from our church who were saved as a direct result of a VBS last year in Petofibanya. 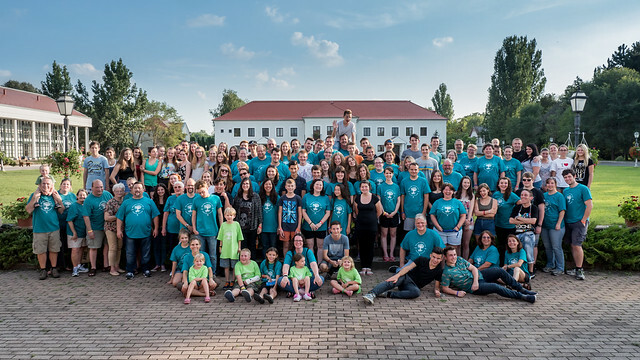 It is such a joy to see Hungarians that were saved just over a year ago now wholeheartedly serving the Lord and participating in reaching out to others who are in the same place they were just a year ago! Praise God for all that He has done in and through this VBS. Here are a few films last week’s VBS for you to enjoy. Above: We had a great group of kids this year and by the second day of English camp, I already heard testimony of one of the campers (Hanna) who was led to Jesus! The photo above was a special meeting at the end of the week for those campers who made decisions to put their faith in Jesus. They include Roli, Hanna, Fanni, Adél, Lili and Kira. Please pray for these kids to continue growing in maturity in Christ and for God’s provision of fellowship with other believers. I was blessed this year to watch many former Hungarian campers and young members from our home church encouraging campers, sharing their faith and answering questions. It was great seeing them take the initiative and so encouraging to remember that many of them were saved at camp years ago. 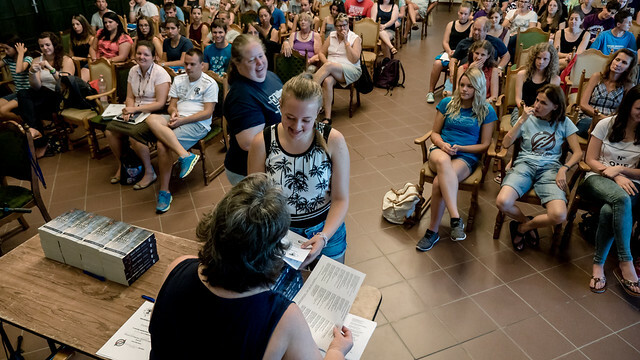 God has strengthened them and is building up a new generation of Hungarians that live by faith in Jesus. Above: Closing ceremonies for English Camp. 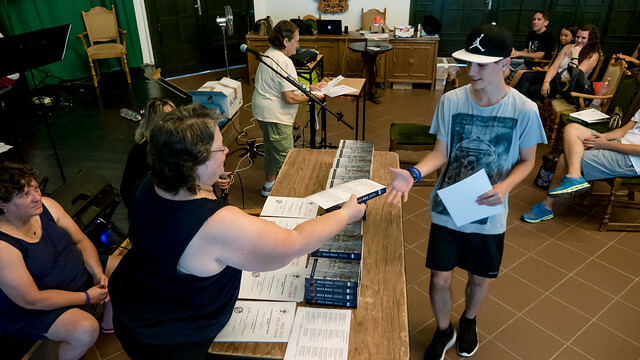 Roli, (one of the campers who put his faith in Jesus), receiving a Bible. Above: We held our house group this week in Zoli’s house in Apc and his sister Erika visited once again from a town about an hour away. Erika has been to house group a few times and also visited our public worship service in Petofibanya. At the end of our study, God opened up an opportunity to explain the Gospel to her and Erika decided to put her faith in Jesus Christ. We had just studied a section from the book of Acts and it was clear that she needed to be baptized and receive the gift of the Holy Spirit. 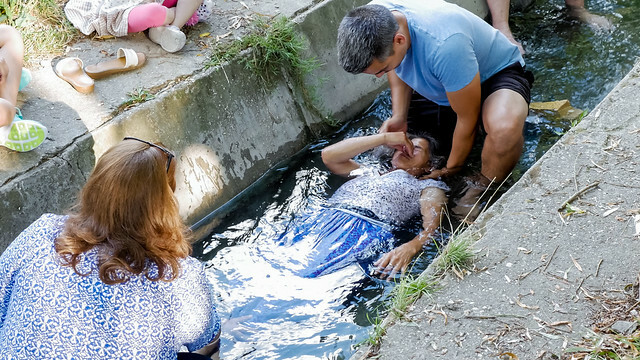 She asked when she could be baptized. I said lets do it tonight! Above: We headed to my home, filled up the tub with water and Erika was baptized into Jesus! Prasie God for His gift of grace to all those who believe! Erika said she wanted to know more but she just didn’t know how to ask about how to be saved. Praise God for reaching more people through this household in Apc. 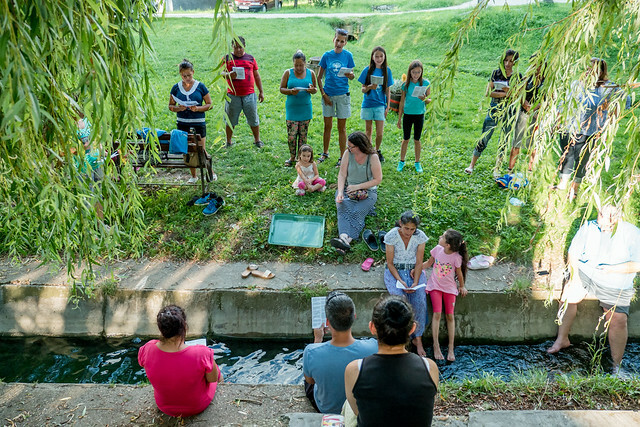 Above: Gathering together at a local stream in Bogács for Edit and Angela’s baptism. Above: We first met Edit in January of 2015. You can read about that first meeting in this previous post. Since that first meeting, Edit invited us to hold Bible studies in her house and later her daughter Kati put her faith in Jesus. We later found out that Kati would bring the Bible studies we had and share them with another relative Angela every week. Angela then invited us to her house and we have now been meeting with her household for the past several weeks. At our first meeting with Angela, God miraculously healed her leg and set Angela free from pain that had caused her trouble sleeping for a year. Both Angela and Edit shared at their baptism that Jesus is first in their lives and they have given their lives to Him. Above: On our way to the local stream, we ran into Erika who was baptized last year. This has been a tough year for her as her husband Robi had to return to prison after being released for a short period of time. 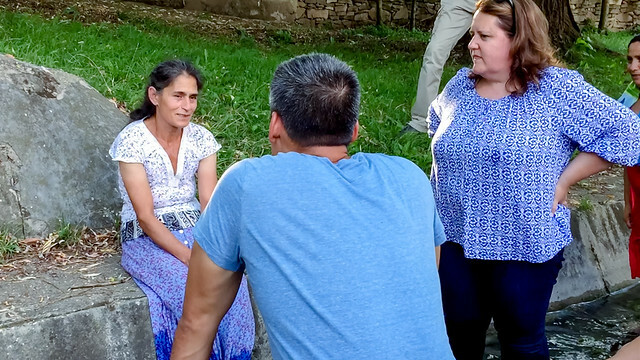 In that short time he was home in Bogács, we were able to meet with him and share the Gospel and Robi was also baptized before going back to prison. 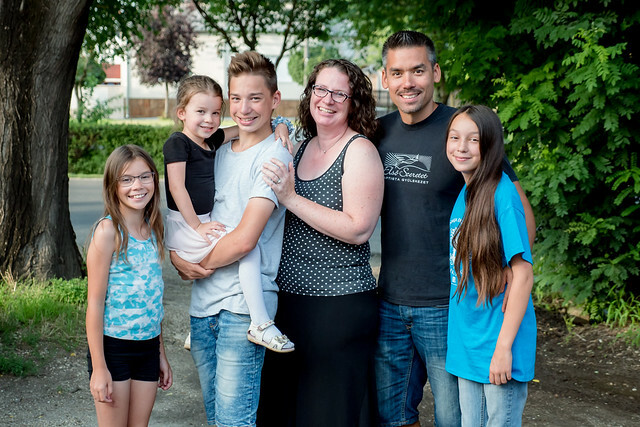 Initially, his time in prison was very difficult but Erika shared with us that he is being changed and boldly telling others about his faith in Jesus Christ. By God’s grace he is also being granted early release because of his good behavior in prison. We are thankful that we’ll be able to spend more time with this family in the near future seeking to encourage them in their faith in Christ. Erika brought her friend Julianna along with her to witness this baptism. Julianna was touched and God opened a door for us to share the Gospel with her and pray with her. 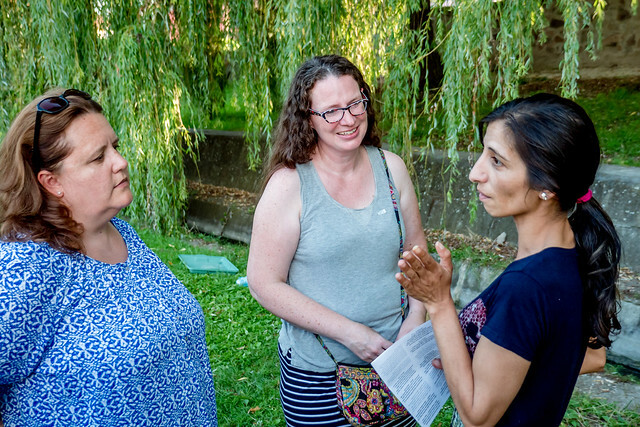 She received a Bible before returning home and Erika who is close friends with Julianna said that she will continue sharing more as they meet together. 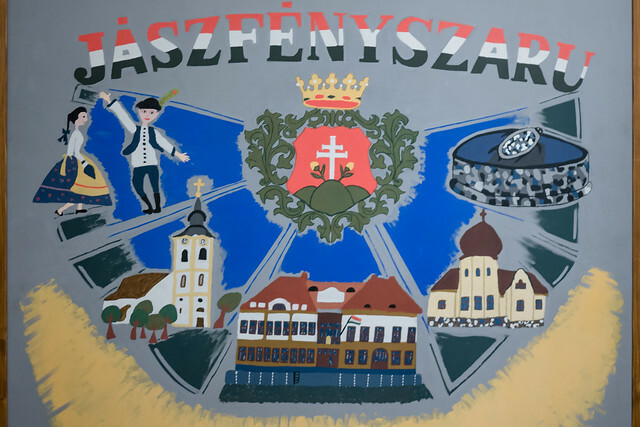 As we’ve been doing more and more outreach and ministry in the town of Jászfényszaru, we felt led to hold our first VBS in this town where we seek to church plant. 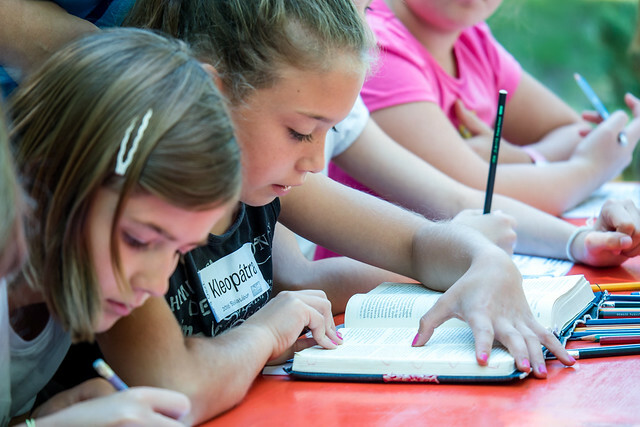 Vacation Bible School has been such an effective tool in Petofibanya for years, reaching kids and parents and also giving oportunity for church members to use their giftings to reach out to and serve the community. 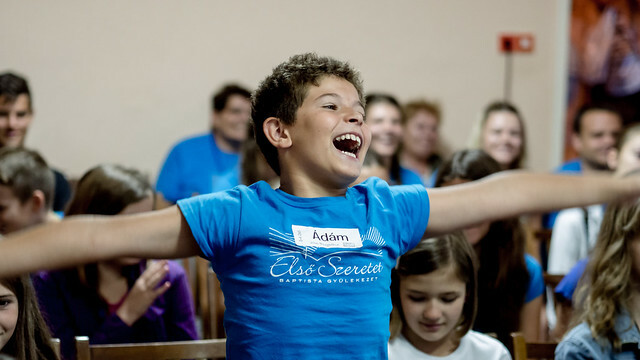 We hear time and time again how parents recognize the love and unity at our camps that is unlike anything they have ever experienced. We know that what they are seeing is Jesus in us! 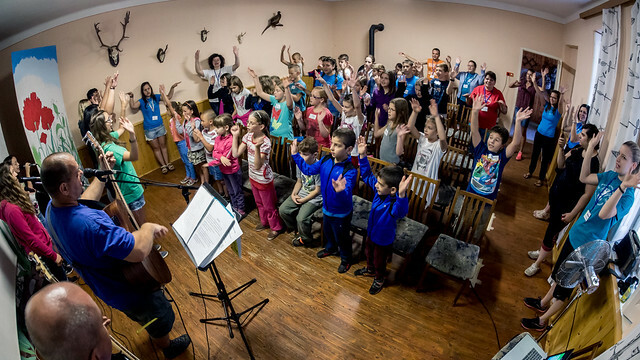 Camp will be Monday through Saturday and we could use your prayers as this is our first VBS in Jászfényszaru. Above: Recent family pic. From L to R: Kira, Ziva, Ben, Sharon, Allen and Elianna. Sharon and I will be celebrating our 18th wedding anniversary on Monday! 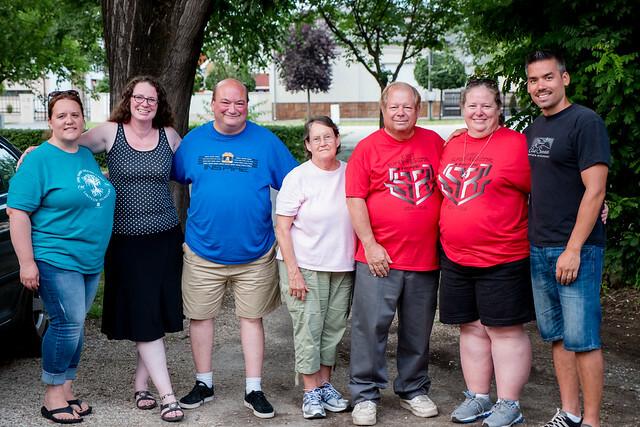 We are so blessed to see how God’s grace and love are transforming lives among Hungarians. 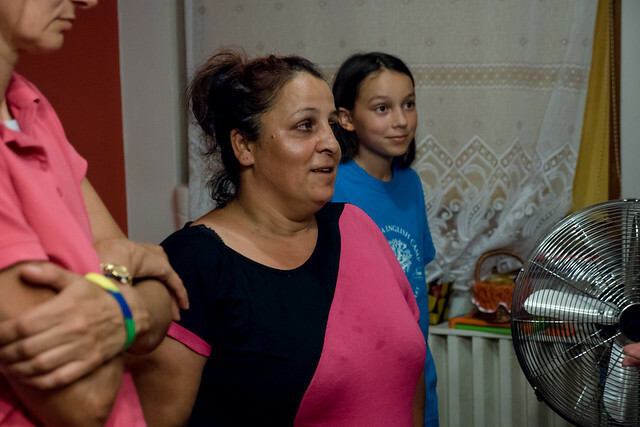 From the youth in the English camp to the Roma in small villages, Jesus is saving lives! We are privileged to have been able to serve long term in Hungary and look forward to many more years. Thank you all for your continued prayer and financial support that enables us to minister full time.